Congratulations to Fr. George “Yuri” Kuzara, C.PP.S., who this year is celebrating the 40th anniversary of his ordination. Fr. Kuzara, 67, a native of East Chicago, Ind., entered the Society in 1969 and was ordained on June 24, 1978. He has been involved in parish ministry and shrine ministry during his years as a priest. After his ordination, Fr. Kuzara was assigned to St. Joseph Church in Wapakoneta, Ohio. In 1983, he became an instructor of bi-ritual ministry at Calumet College of St. Joseph in Whiting, Ind. Fr. Kuzara returned to parish ministry in 1985 at St. John the Baptist Church in Whiting, later serving at St. George Romanian Rite Catholic Church in Aurora, Ill.; St. Joseph and St. Peter in Fort Recovery, Ohio; and St. John the Baptist Ukrainian Catholic Church, Northampton, Penn. He was named director of the Sorrowful Mother Shrine in Bellevue, Ohio, in 2001. 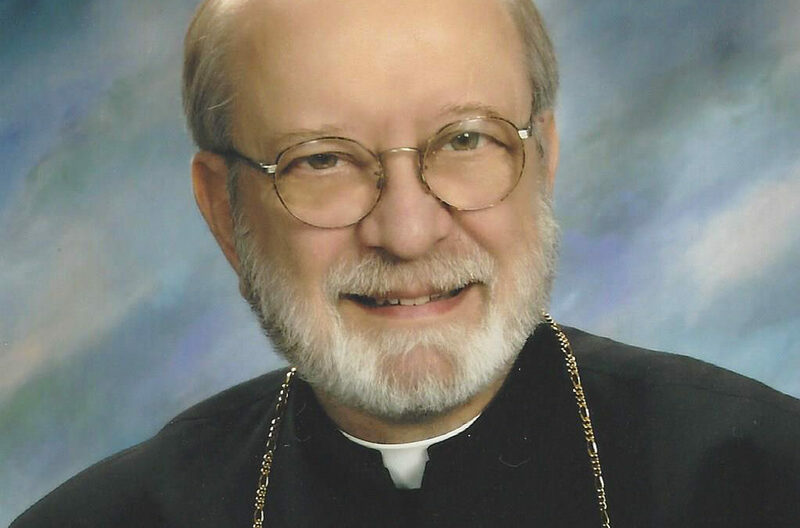 He served as parish administrator of St. Michael Ukrainian Catholic Church, Frackville, Penn., and its mission parish, St. John the Baptist, in Maizeville, Penn., from 2003-2004. He returned to the Sorrowful Mother Shrine as its director in 2004, and served there until 2016, when he was named pastor of St. Michael Ukrainian Catholic Church in Mishawka, Ind. In July he will return to ministry at the Sorrowful Mother Shrine. Fr. Kuzara’s anniversary, along with the milestone anniversaries of 12 other Missionaries of the Precious Blood of the Cincinnati Province, signifying hundreds of years of ministerial service to God’s people, will be celebrated in a special liturgy on July 2 at St. Charles Center.